I finally got around to creating a parametric version of the 3D printed mount I’ve been using for the past few years. 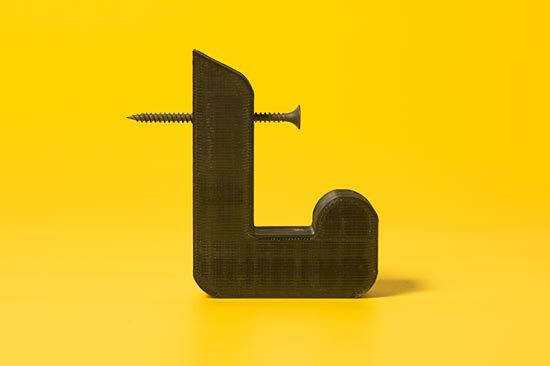 Typically I’d just open a previously designed thing in OpenSCAD, make some adjustments, and export an STL to print. Eventually I realized that I should just create a bunch of variables so I can easily just make minor adjustments each time and not have to do a bunch of find & replace operations. 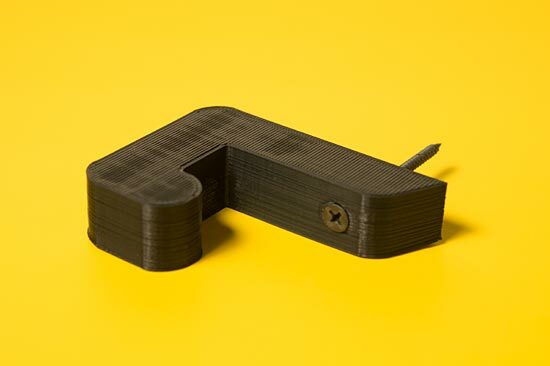 The result is Adjustable Rectangular Mount v1 which you can find on Thingiverse and Youmagine. It’s a work in progress, and it still needs some tweaking, but I figured it was worth releasing to the world. (Hey, make it better if you can!) It doesn’t work for all sizes and configurations, but for most of my needs, it’s good enough. 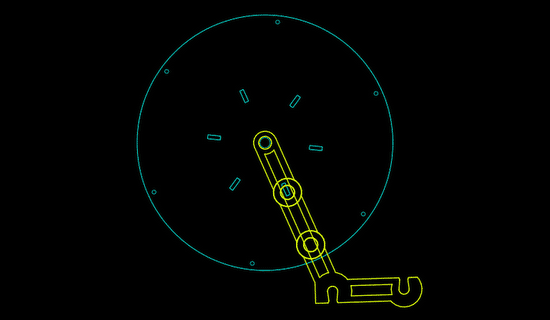 I should probably do more research on how to improve things by reading through other OpenSCAD code, but as mentioned, you’ve gotta start somewhere. I’ll probably be using this one quite a bit in the future, and I’ll update it as I can. 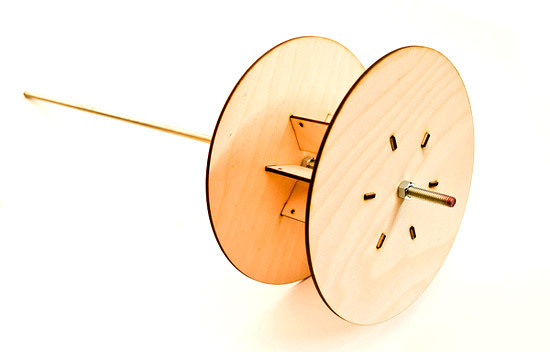 This mount specifically expects that you can use screws (or bolts) to mount it to a surface you can screw into or drill through. I also often add some double-sided foam tape to the inside of the mount and stick it directly to the object being mounted. I’ve printed a coat hook before, but this time I’m doing it for school. 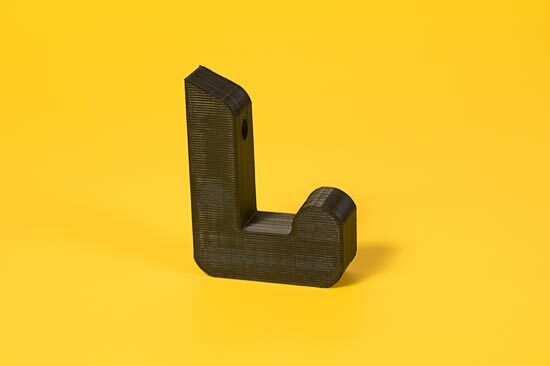 This is the DCRL Coat Hook for the class “Digital Craft: Machines that Make” in the Digital Fabrication + Design area at UWM, taught by Frankie Flood. 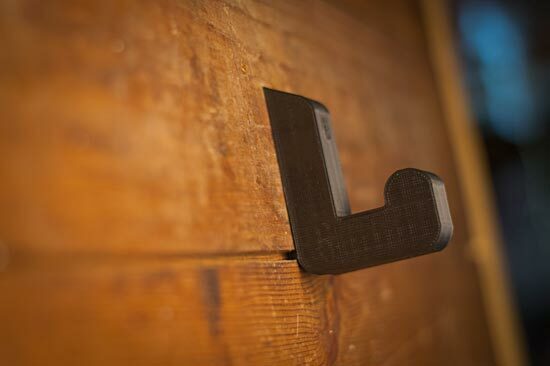 The assignment was to create a 3D model of a coat hook using Rhino, and then print it. 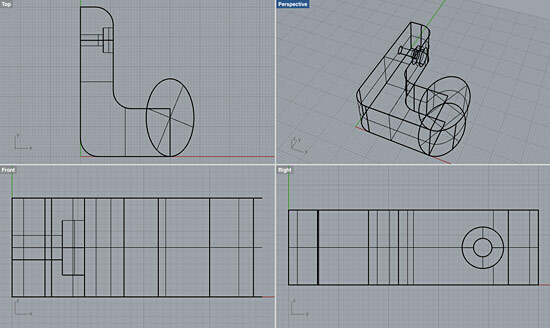 I’ve been using OpenSCAD for years, and before that I used Sketchup, so Rhino is still fairly new to me. I used it a bit last semester, but mostly just to explore it and for 2D laser cutting. My first attempt was mainly about getting comfortable in Rhino. I’m so used to the way I work in OpenSCAD, and even the way I work in Inkscape, that I found Rhino a little lacking in certain things. I’ve gotten more used to it since I started, but I still see room for improvements to how it works. 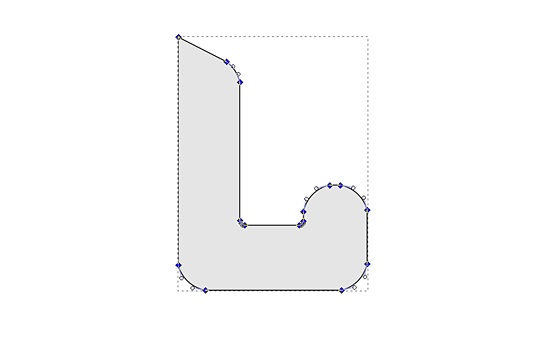 Version 1 was all about unions and differences and fillets. It worked, but I wasn’t entirely happy with how rectilinear the form was. Eventually I ended up drawing version 3 in Inkscape, as I knew what I wanted it to look like, and it was an easy path to get exactly what I wanted, design-wise. 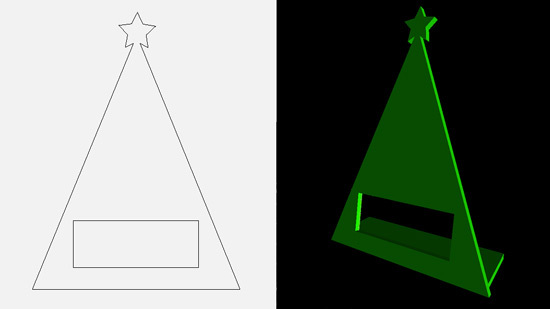 I exported the file as a PDF, which imports nicely into Rhino, to get my 3D object. I also tend to look at replicating and/or extending existing workflows I already have. I typically find the desired size of objects by drawing them on paper. 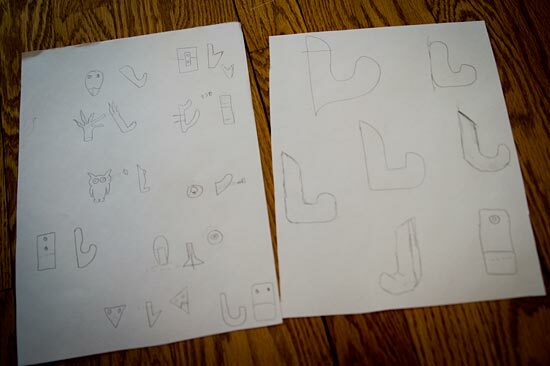 Here’s some of my early sketches (on the left) and the later ones (on the right) that I did before modeling in software. 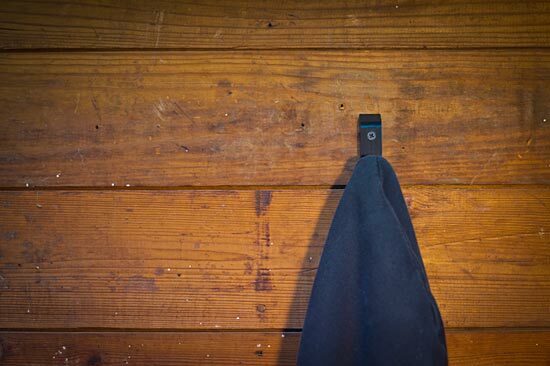 If you’d like your own copy of this coat hook, you can grab it from Thingiverse or download from Youmagine. Here’s a few photos of the final printed piece. There’s a few more photos in the DCRL album on Flickr as well. Here’s my CheerLight 2012 device, which I call the CheerLCD! And what is CheerLights you say? CheerLights is an ioBridge Labs project that allows people’s lights all across the world to synchronize, stay linked based on social networking trends. It’s a way to connect physical things with social networking experiences and spread cheer at the same time. 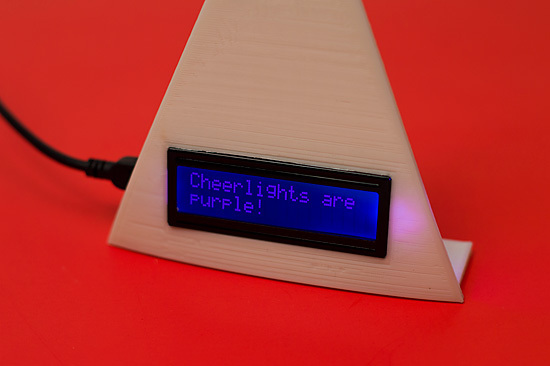 With the combined power of 3D printing, affordable electronics, and the duct tape of programming languages that is Perl, we’ve developed a device that informs you of what color the CheerLights around the globe are, not only with color, but with words! 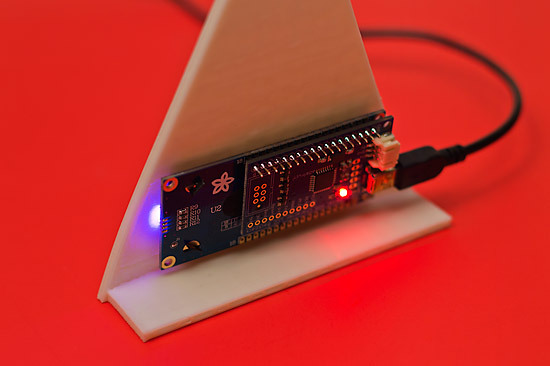 The CheerLCD consists of a USB + Serial Backpack Kit and LCD Display from our friends at Adafruit Industries. But you can’t just have a display without some sort of thingy to display the display properly… enter the 3D Printer! I know what you’re saying, “This is all well and good… but we need to see the CheerLCD in action!” As you wish, my friends… as you wish. 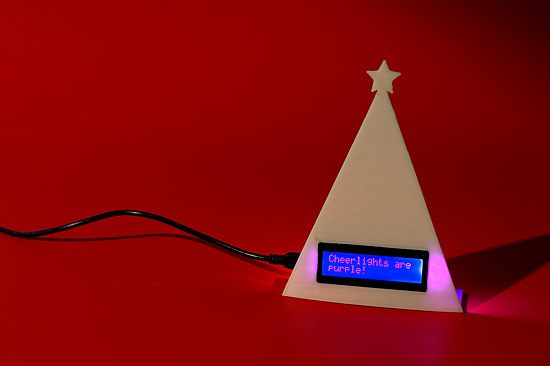 There’s some code over on github/CheerLCD, and some files on Thingiverse for the CheerTree. 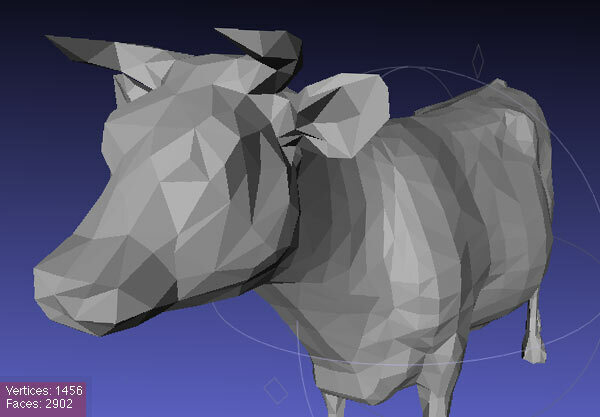 So back when I first used the MakerBot at Milwaukee Makerspace, my daughter asked me to make her a cow. (The kid likes cows!) 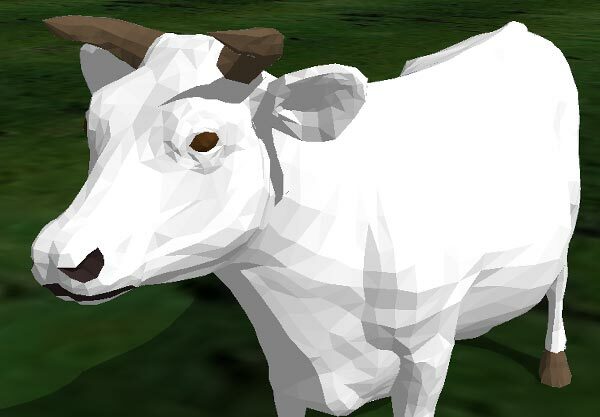 Since my 3D modeling skills were not up to the task (and still aren’t, at least not for a cow) I found a cow in the Google 3D Warehouse and brought it into Sketchup. It looked fine, so I exported it as an STL file and did a print. A very small print. It looked OK (but not great) and since it was small there wasn’t really much detail. 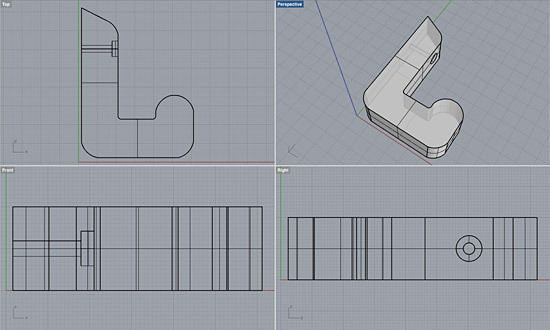 Since then I’ve looked at other files in the Google 3D Warehouse, but since most of stuff there is for screen display and not 3D printing, things tend to be very complex, at least in the well done models. 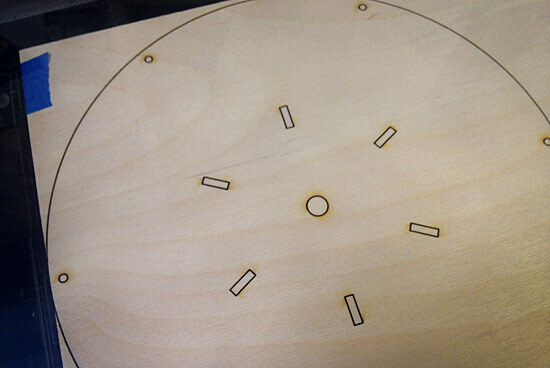 More complex than might be needed for a 3D print, at least from the Makerbot. 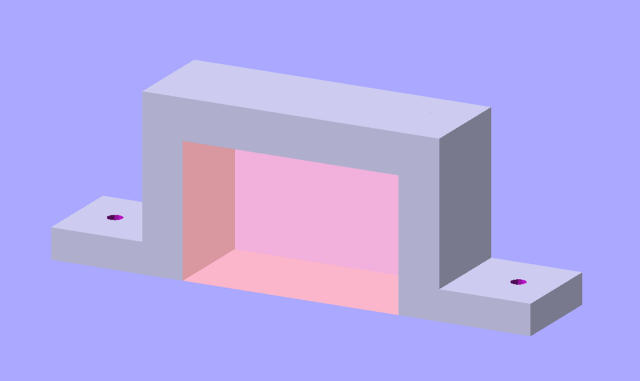 I’m still pretty new at this 3D modeling stuff, but simplifying the model seems to be what we want. In the 2D world I’ve been doing the same sort of thing for 20 years, but in 3D? It’s new ground. 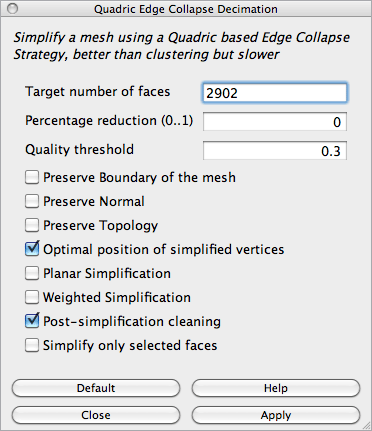 I’m mainly interested in using it to reduce the complexity of 3D models. 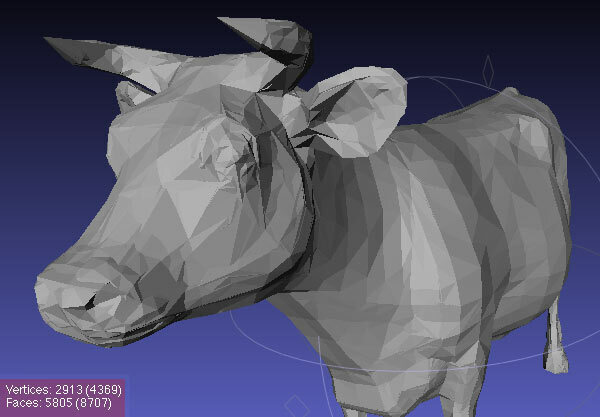 Here is the STL file I created from the original cow in Sketchup, as seen in MeshLab. 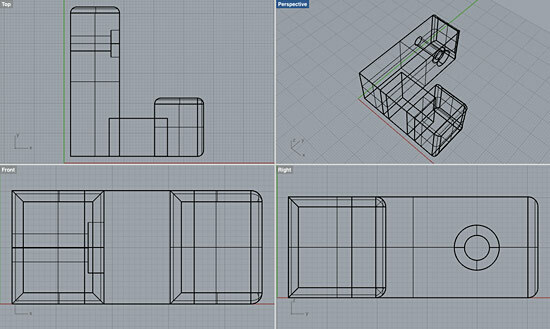 I’m fairly pleased with the results (though I haven’t tried to print it yet) but now that I’ve got a (loose) handle on mesh reduction, I’ll dig into the tutorials on YouTube from MrPMeshLabTutorials, including this one on Decimation.